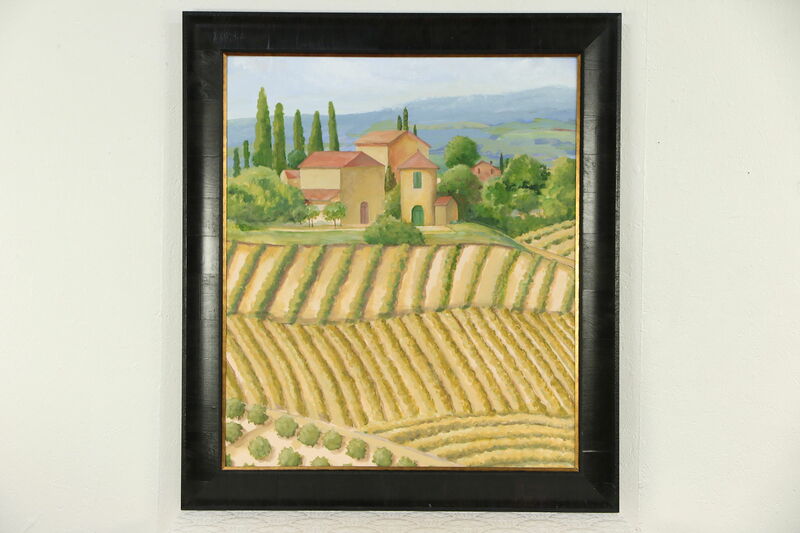 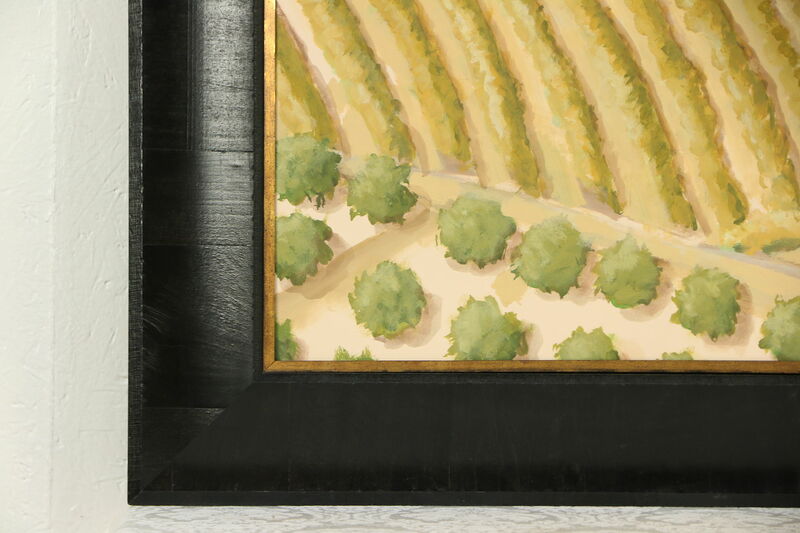 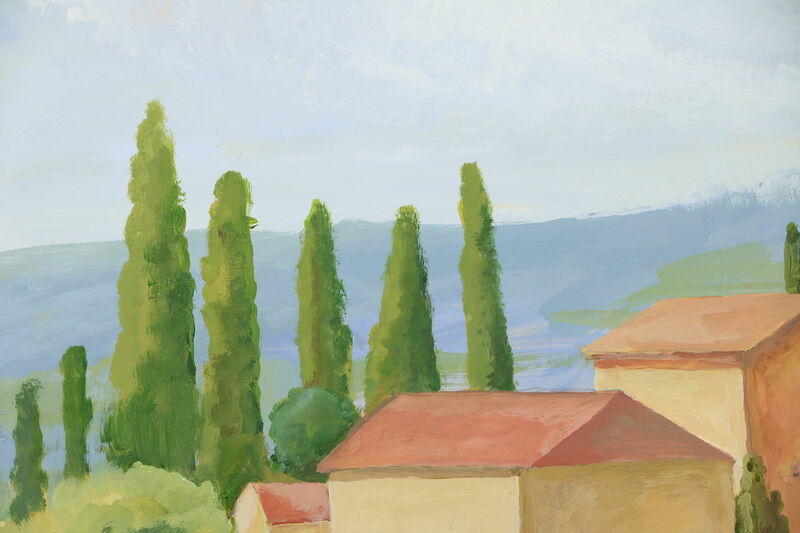 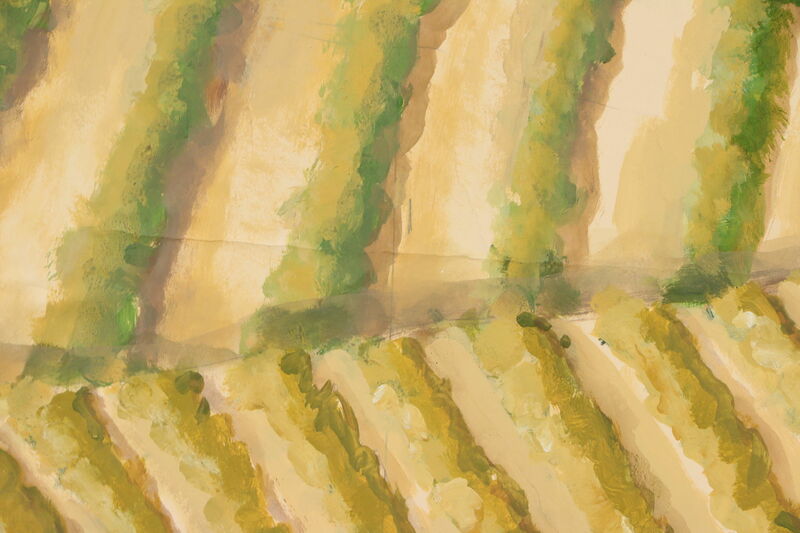 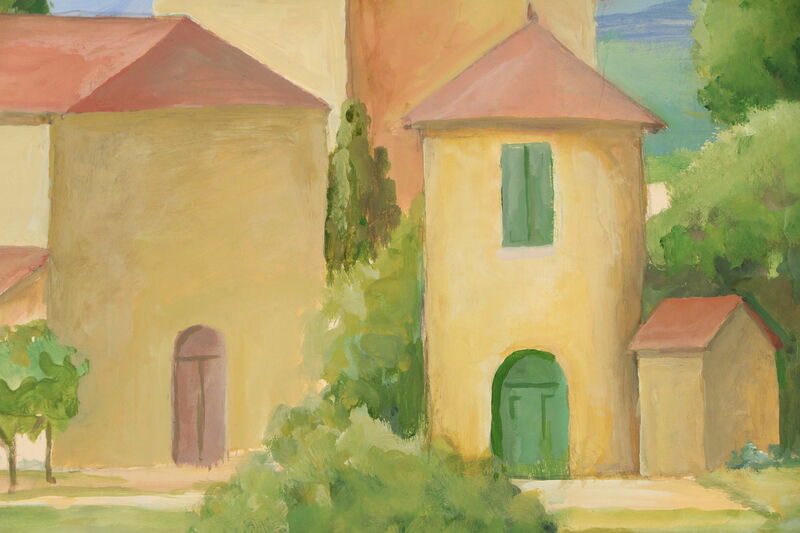 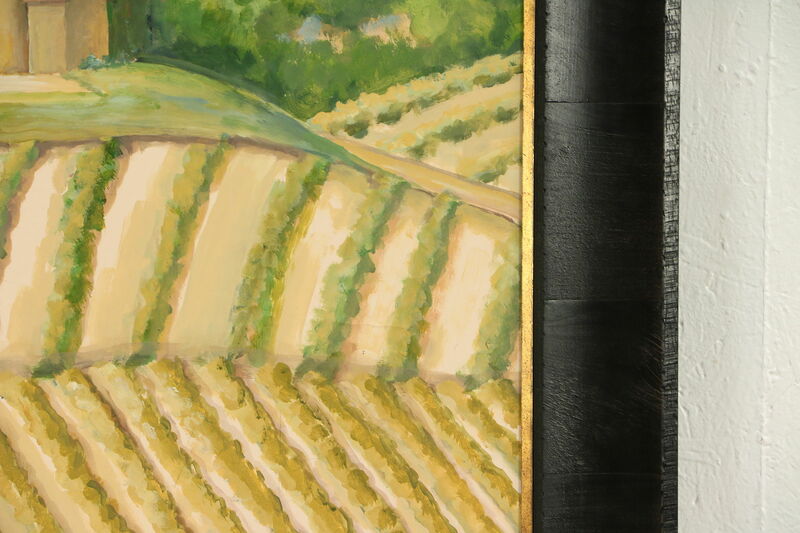 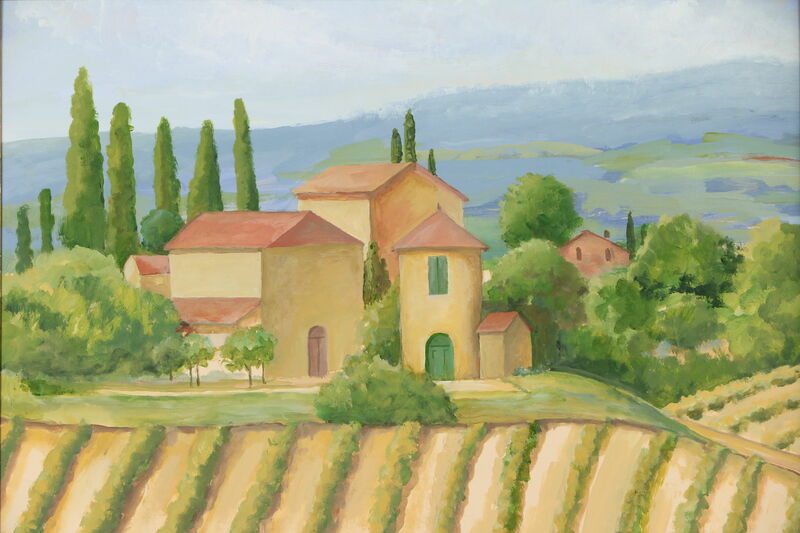 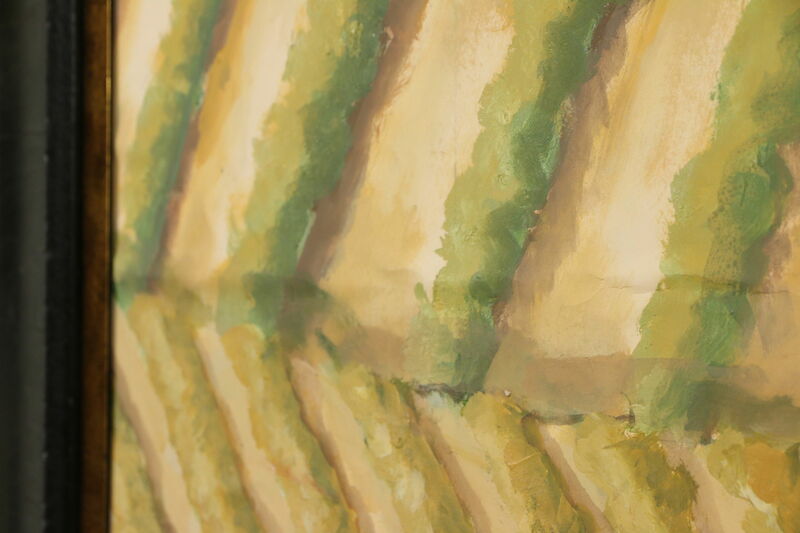 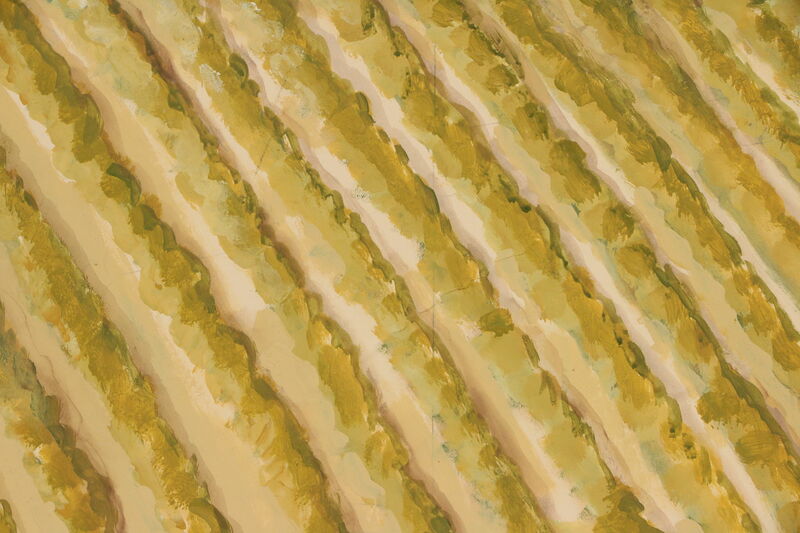 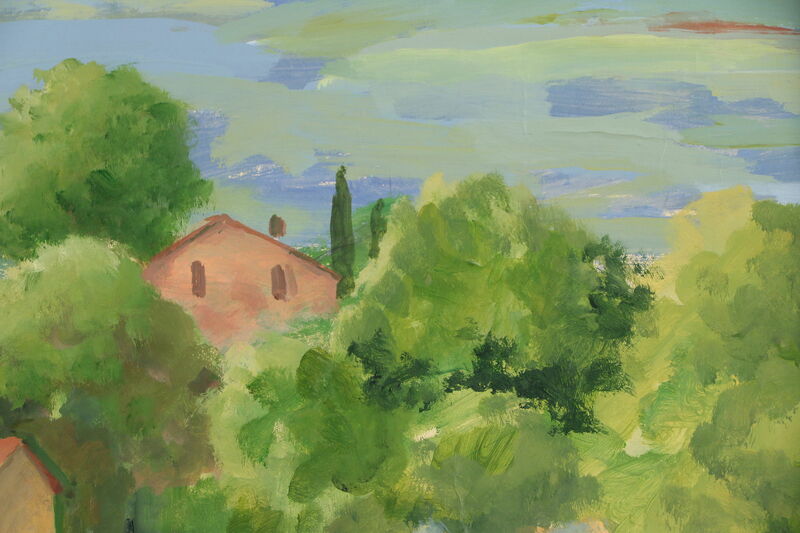 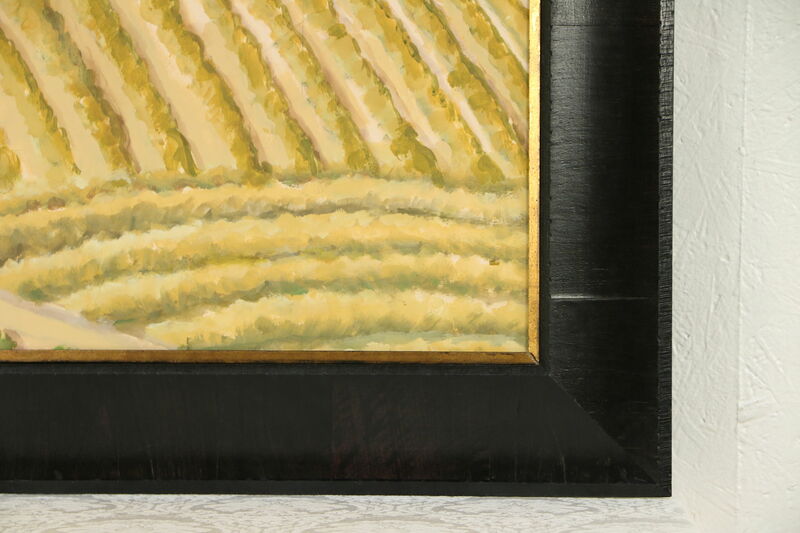 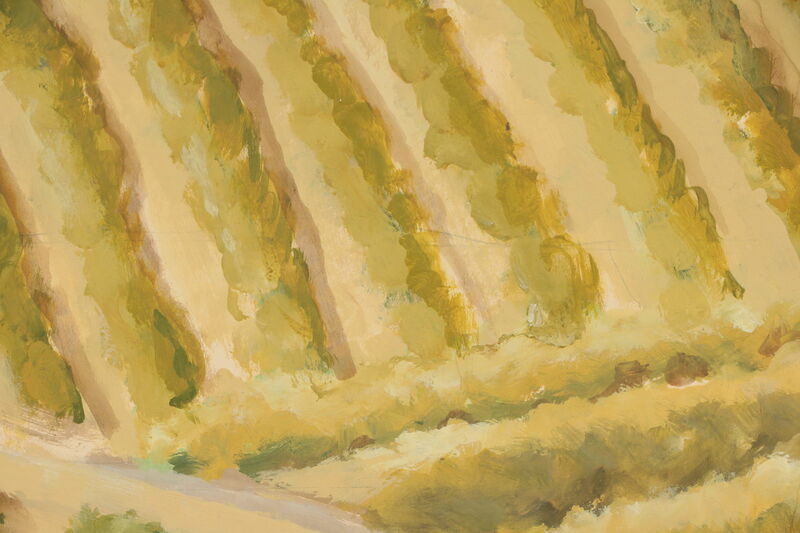 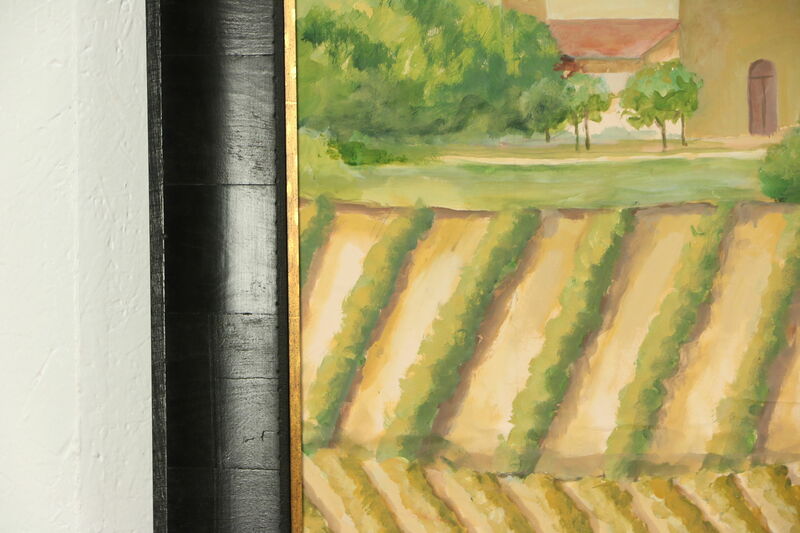 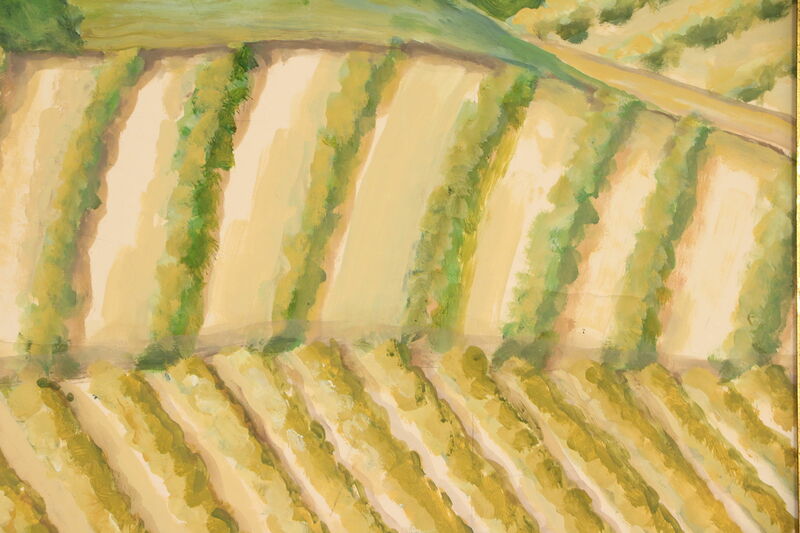 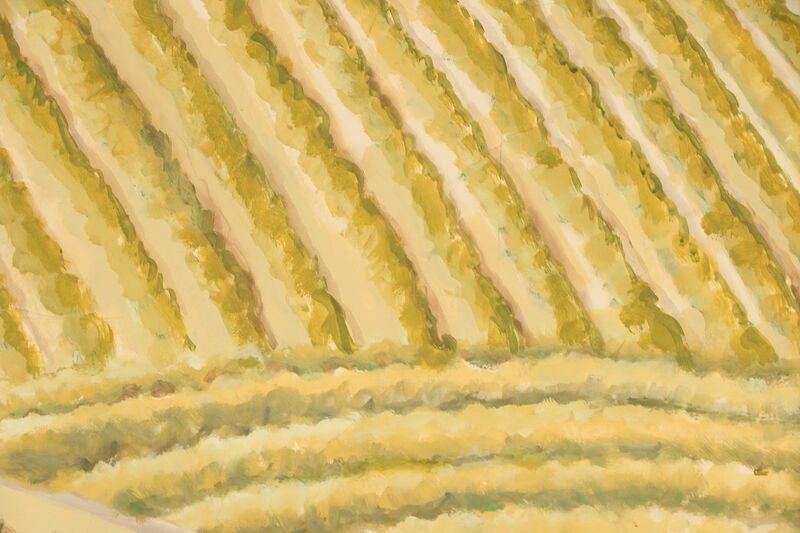 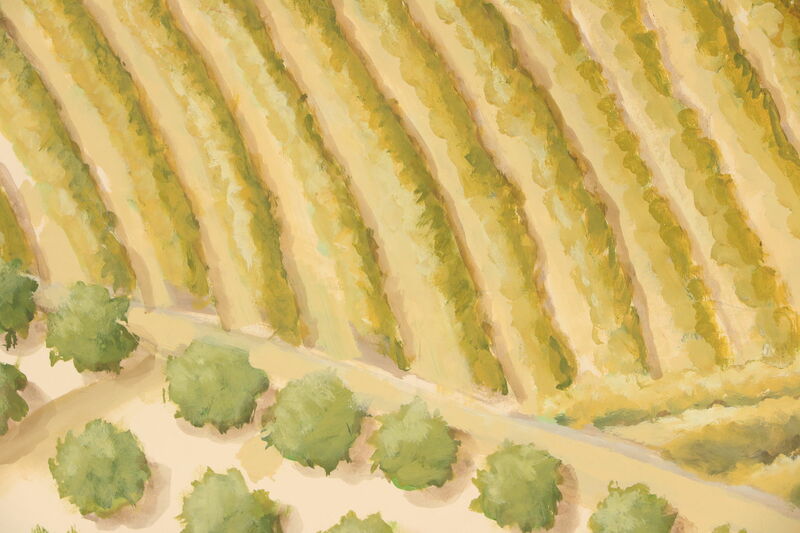 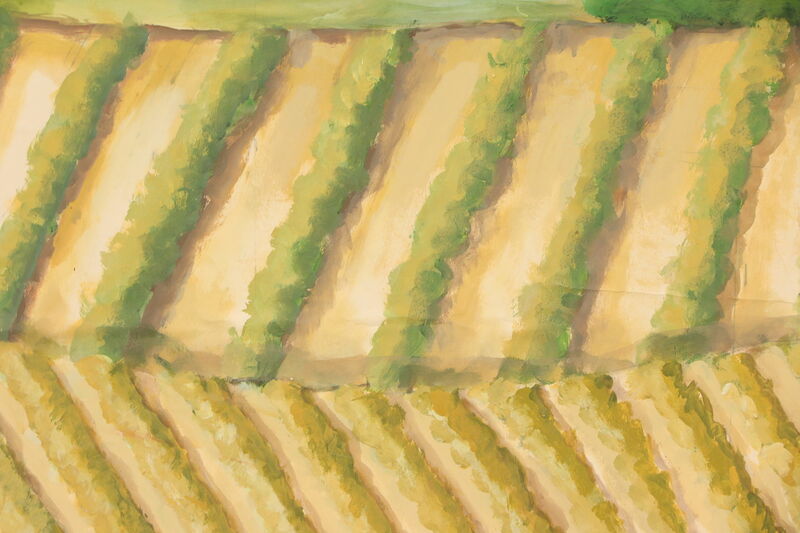 An original painting on board depicts an Italian village scene with fields and hills in the distance. 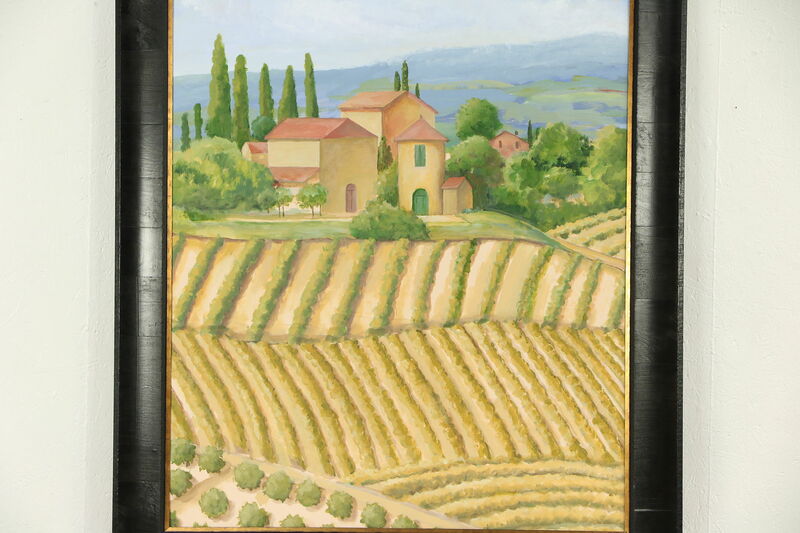 About 20 years old, we find no artist's signature on this work of art. 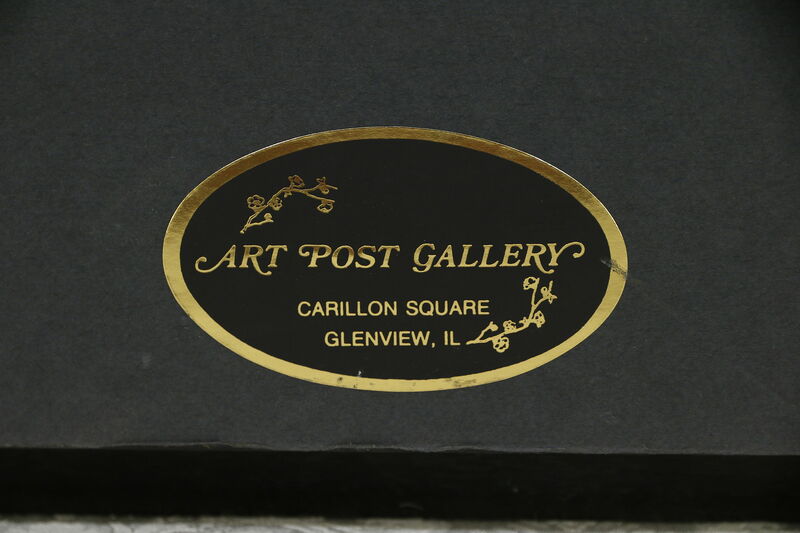 On the back is the Chicago area gallery where it was originally purchased. 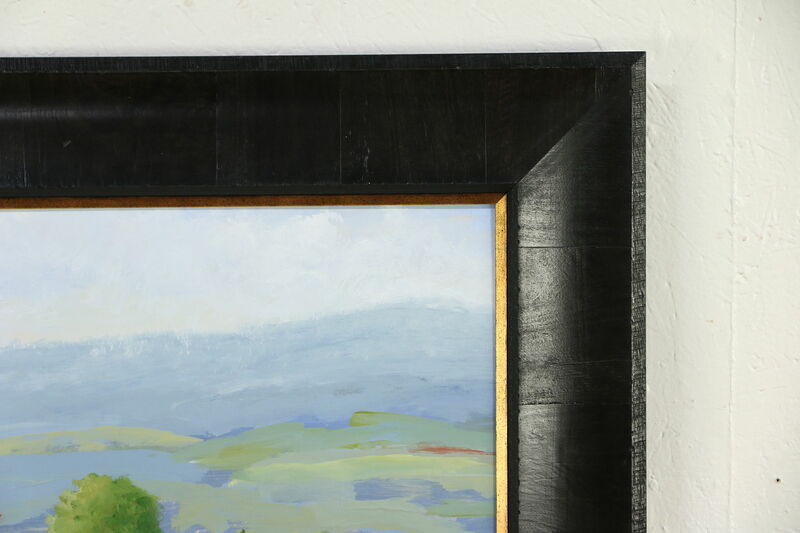 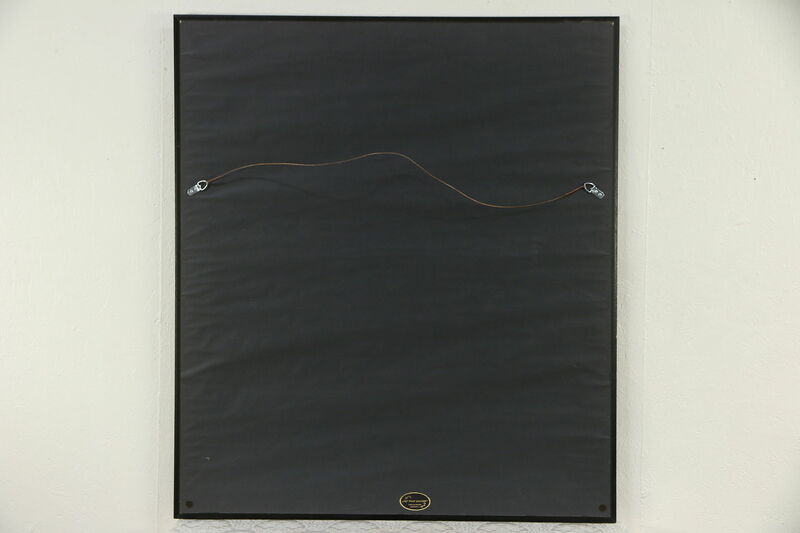 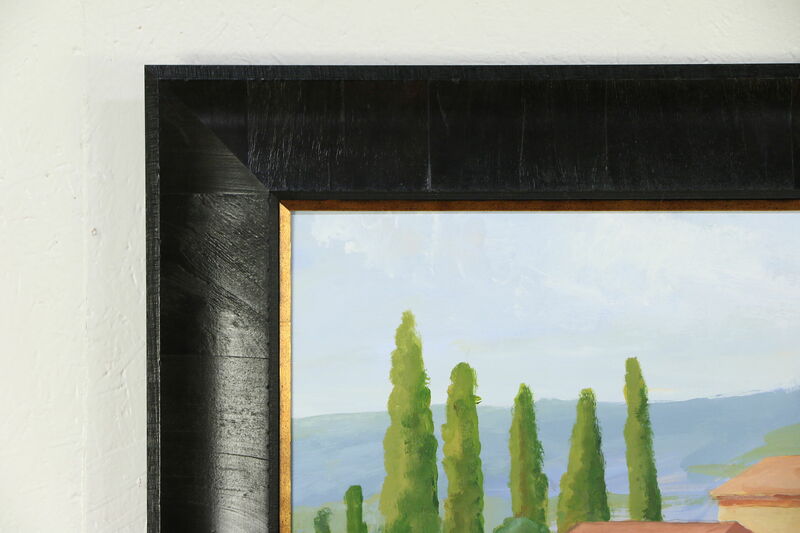 The original frame is ebonized and measures 43 1/2" x 49 1/2" and 1 1/2" deep.